Bake It Happen participants bake in October to raise funds for breast cancer research. 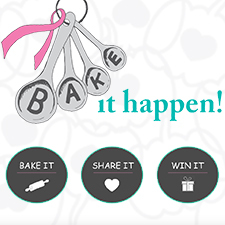 The Pink Pumpkin Patch Foundation is excited to announce the third year of their breast cancer partnership with Bake it Happen™. 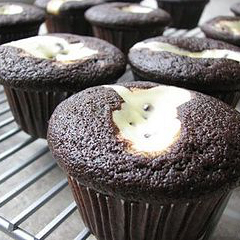 While the Pink Pumpkin Patch Foundation raises funds from the sale of each unique pink pumpkin for breast cancer research, Bake it Happen donates funds to the same each time someone registers, bakes recipes and shares photos and videos. From the 2015 season, efforts from the two organizations provided the foundation with funds for research. $15,000 were granted to Dr. Ted Hinchcliffe and Gail Dennison at The Hormel Institute and $5,000 were granted to Dr. Eva McGhee, Department of Medicine, Division of Cancer Research at the Charles R. Drew University of Medicine and Science. This year, the month-long campaign kicks off October 1st and lasts through October 31st. The Pink Pumpkin Patch Foundation, a non-profit organization, raises money through proceeds from the sale of all natural pink pumpkins. Since the foundation’s launch in 2012, the Pink Pumpkin Patch has contributed $95,000 to the cause. The foundation works with participating pumpkin growers such as commercial and FFA and 4H chapters across the country, to promote and sell the pink skinned pumpkins, giving a percentage of their proceeds from each pumpkin sold to breast cancer research. Qualified researchers are now able to apply for the Pink Pumpkin Patch Foundation grant, through December, 2016. “Social media continues to be a powerful viral tool in generating awareness for this disease and we strongly believe people want to make a difference; we’ve just created a fun (and tasty) way to do it,” said Shari Brooks, a 2016 Ford Warrior In Pink and co-founder of Bake It Happen. “We’re grateful to partner with a foundation with such a deep commitment and find comfort in knowing it ensures that the funds raised go directly to support reputable research organizations,” continued Stacy Pagan, Shari’s sister and co-founder. www.PinkPumpkinPatch.org. For additional information on Bake It Happen, please visit their website, www.bakeithappen.net.